So, what does all that stuff mean? This year’s shirt showcases some of the things that have made PTP great over the years. Hopefully, you were able to guess the meaning of most of the icons, but here are the meanings that we assigned. In the early days of PTP, we moved locations every year. The locations included Atlanta, Birmingham, Chattanooga, Hattiesburg, Huntsville, Jacksonville, Montgomery, Oxford, and Salem. We have now been at Sevierville for eleven years. We have always added additional educational opportunities by displaying various large set pieces and historical items. This includes our model of a first-century fishing boat, the Tabernacle, the Temple, and the village area.In addition, Bob Stancell from the Bible Land Museum in Oregon has been coming for several years and setting up displays. From the beginning, PTP was about education. We launched the certificate program several years ago to recognize those who are making a special effort to attend many of the classes and take notes to add to their ability to teach others. A popular addition to PTP has been the chalking class, headed by Renee Brown and Karen Perkins. The chalking sessions give teachers the opportunity to make wonderful visuals for their classrooms. One of the things that makes PTP great is the children’s education program. We do our best to make PTP the place children want to come back to year after year as they learn, make friends, and have fun. On te last day of PTP, the children get to participate in a carnival with food and games. We thank all of our teachers, and we want to recognize Betty Tyler, who has been working with the 2/3 year-olds since the very first PTP that offered children’s classes. Celine Sparks heads up the Carnival each year. We have encouraged congregations to bring their church buses and as many members of their church as possible. Some have brought almost their entire congregation for the week. What an uplifting spiritual experience it is for the entire church! Counseling sessions are provided for those who want to strengthen their marriages or for those who are experiencing difficult problems. Digging Deeper is a PTP women’s class that has developed into a year-long program of encouragement for thousands of women, headed by Cindy Colley. In 2017, PTP was scheduled during the total eclipse of the sun. We made an event out of it, and PTP came to halt for a few minutes while most attendees went out to view the eclipse with special eclipse glasses. It was such a landmark event that many have asked us if we can not schedule another eclipse for a future PTP. That is a little out of our control although PTP is full of once-in-a-lifetime events. PTP has encouraged people to bring entire families for a pray-cation instead of a vacation. PTP strengthens families, and families are the backbone of local churches. 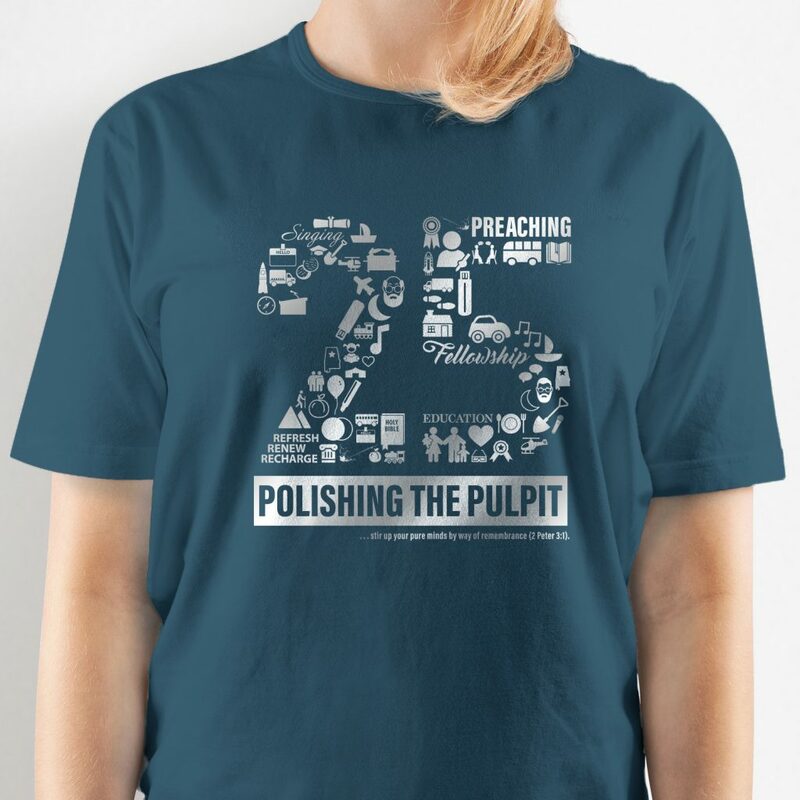 When asked to name the greatest thing about PTP, many respond, “The singing and the fellowship.” PTP provides the rare opportunity to worship God with thousands of faithful brothers and sisters from all over the world. We have used the area around Sevierville for various activities, such as hiking, early morning walks, and sightseeing. We have also had several excursions and events throughout the years, including helicopter rides. Because we have so many great speakers at PTP, we encourage those with the most years of experience to share their wisdom in the greybeard sessions at the end of PTP. Hundreds of teens now get together at PTP. During the day, they attend classes. Each night they enjoy various games, activities, and the opportunity to make friends that will last a lifetime. Each night ends with the atrium singing, which is beautiful worship to God that encourages members young and old. Each year we present one lifetime service award. This recognizes those who have made a significant contribution in their efforts for the kingdom, and often to PTP as a part of their work. In the early years of PTP, we were able to load the equipment in the backs of our cars and trucks. We then starting using moving trucks. Now PTP requires multiple semi-truck trailers to bring in all the material and equipment each year. PTP gives participants the opportunity to meet Christians who attend from almost every state as well as many foreign countries. 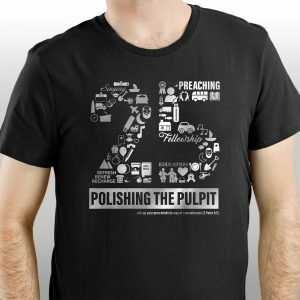 PTP is a boost to many preachers and Bible class teachers who get fresh ideas from some of the best in the brotherhood. For several years we have given single members of the church in all age groups the opportunity to get together and fellowship. Many are looking for those in similar circumstances as themselves to make friends and share experiences, while others are looking for Christians to date. More than one wedding that has happened as a result of Single Hangout. PTP Spark is a spin-off of PTP. Held twice a year at different locations around the country, PTP Spark provides a taste of PTP in a local congregational setting. No one can attend all PTP sessions. There are always hard choices to make about which classes to attend. Originally, we offered CDs to attendees, but for several years now, each attendee has received a USB flash drive with all the recorded classes at the end of PTP. This allows the benefits of PTP to continue long after the event. Similarly, PTP365 is a subscription website with nearly ten thousand PTP audios and videos, available for churches and individuals throughout the world.